Reasonable Locksmithing provides car key services rapidly and efficiently for our Cortlandt Manor LOCKS & LOCKSMITHS clients. If you are ever locked out of your car or have misplaced or lost you keys and need to get somewhere as soon as possible do not hesitate to call us immediately. We provide 24/7 car key emergency services that will eliminate your car key problems in record time. Whenever, wherever, and regardless of the vehicle type, make, or year, we guarantee to replace, repair, or reprogram your car keys in minutes. 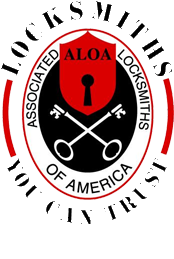 Moreover, Reasonable Locksmithing only hires the most established, experienced, dedicated and knowledgeable Cortlandt Manor LOCKS & LOCKSMITHS technicians. We also only use the most up-to-date and state-of-the-art car key repair and manufacturing technology on the Cortlandt Manor LOCKS & LOCKSMITHS market. Reasonable Locksmithing can cut, mould, or program a new key in minutes and create as many duplicate car keys as you wish on the spot. In addition, our car key services always come with a guarantee on parts and labour and a full liability clause. That is, if any damage occurs as a result of our car key products or services Reasonable Locksmithing will take full responsibility and reimburse you and/or cover all damages incurred. Whether you need a key replacement, duplicate, or repair, Reasonable Locksmithing has got you covered. We can provide you with copy keys and laser keys, which include simplex cruciform and inner track keys, as well as original key blades that can be used with car remotes. Thus, whether you need a car key replacement, or a broken car key repaired, Reasonable Locksmithing will always deliver quickly and efficiently at competitive rates. Moreover, if you need your car lock picked, require emergency 24/7 car key services, or want us to reprogram your sentry key swiftly with no muss or fuss...and without breaking the bank, then contact us today and discover the Reasonable Locksmithing difference.